Ducati 851 - apart from the seat unit and exhaust headers, which are MADASL Racing items, this bike is standard and is indeed road legal. Hire is only available for track day use though. 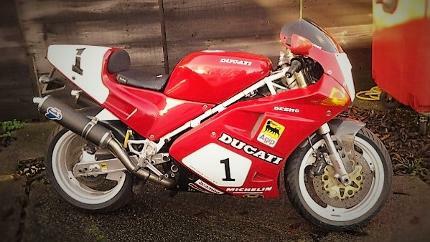 If you always had an ambition to ride the original Ducati superbike then now is your chance.